in our 60s, 40s, and 20s. wanting to know about each other. our loves, our souls, looking for our spirits." There was a need to further awaken and feed the spiritual aspects of my being. For many years, I've felt the urge for a deeper sense of connection with Spirit and wanted to explore my own faith through a completely different lens. I was curious about how women lead and the idea of a spiritual study with a focus on a feminine perspective instantly caught my interest. I had spent my whole life wondering where the feminine was in God, and now that I am in mid-life the simple answers no longer seem to address the deeper longings and questions I have. I yearned for the wisdom and companionship of other spiritual women. I needed a place, a circle of spiritual discernment, where I could refocus my life map and redirect my energies. I came to WLI out of a strong desire to see how I might combine my faith with my work. While I initially thought this course was about me finding the next step in my career, it really has been more about finding out who I am at this stage of my life. Developing these close relationships with women from a broad range of ages, faith traditions and lifestyles has been a powerful and enriching experience, and it has made me more excited than ever not only about being a woman of faith, but about being a woman in general. I do not feel as though my relationship with God has changed but I am definitely more open to and aware of God's limitlessness and possibilities. I have relished in the comfort of coming to understand that one particular trait or gender can never narrow down who or what God is. That revelation is freeing. For some reason, I subconsciously believed that feminism with the practices of religion could not co-exist! WLI has blown that assumption out of the water. It has been a great gift to learn of the contributions of women to our human spiritual and religious legacies. I knew nothing of a spirituality rooted in feminism or that there was even a different way to lead. Learning of the rich history and past has made me hopeful for the future. Since starting WLI I am more confident in knowing that I am universally connected to all living beings and that there is a beautiful balance of masculine and feminine in the Divine. The idea that we are spiritually nourished through caring and sharing has become a driving force in my everyday life. I have believed that spirituality is beyond traditions, only the expression which is different from one tradition to others. At WLI I am not only knowing it, but experiencing it in a group. I have discovered that I am a very spiritual person. I manifest my spirituality in my kindness to people and my understanding of them, in my desire to be the peacemaker and to get along with everyone. It is up to women to save this world, and I feel comfortable and powerful in the company of women. Through our discussions I hear ideas that resonate in me and I am able to throw away the old male-dominated, violent, power-hungry ideas of God and recognize the loving, creative, nurturing, all-inclusive I Am of a great Spirit. I appreciate an increasing sense of connection to other women both in this country and around the world. The importance of this continues to call to me and I believe many women experience this. The triumphs and sufferings of women are increasingly shared. The urgent need for peace and justice worldwide is moving up to deepen community and identify ways we can bring about change. This is what I experience at WLI -- connection, solidarity and intention to bring about healing change and deeper growth both in ourselves and the world. Learning how to play drum is so much fun! in one room with one mentor". One other way WLI has changed me is by breaking down my unknown walls of fear regarding other faiths and practices I knew little about. As a child, I was always taught to stay away and avoid learning about other teachings. Although as an adult I have grown much more distant from this way of thinking, partaking in WLI helped me even more in the level of exposure and greater comfort I now have in learning about other means of spirituality. I feel that all these ways are gifts of God and are of value and it was WLI that gave me the language and space to come to this realization. I have long harbored a fear of dramatic change, even when positive, but now, listening to the stories of my amazing WLI classmates, I wonder why. Won't God be there through the changes just as she/he is now? We are all so very strong; we just have to tap that strength and believe that we can do whatever it is we are called to. For me, maybe the most transformative moment was our January session where everyone shared their mid-class reflections. The creativity and openness shared in that room was really special and I think it deepened the connection we all had with each other. The space became very sacred and it was a great moment to be a part of each women baring her soul to the group and revealing her true light as God's messenger. It was awesome and I will forever reflect upon that weekend. 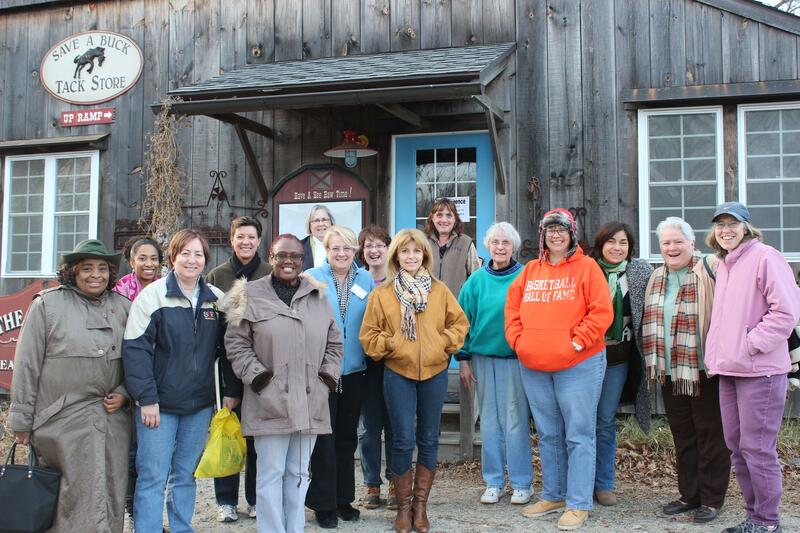 I think every moment of WLI has been a transformative experience. I understand now more than ever that women, regardless of their religion, culture, or social status, have very similar challenges and needs. Because of this understanding I am better able to embrace myself as a woman. Furthermore, I am better able to appreciate and be supportive of other women. Actually, there was no specific transformative moment; rather, it has been a growth process that has deepened and flourished throughout our meetings. Each class taps into my soul and awakens ancient memories. I have always struggled with self-worth, self-confidence and seeing that I can make a difference on the world. I need frequent reminders that my life has meaning. Although I am not fully there, being at WLI has given me a greater sense of empowerment. I have a fuller realization that everyday life of job and relationships has meaning. I have the freedom to follow a different path if I need or want to. For me, it is always transformative when another person, particularly another woman, hears me and sees me. When another makes attempts to understand my side, to take my experiences and words seriously, this is life-giving. I am convinced that women gathering together in voice and action bring about transformation of hearts and life-giving change. Who knows! Yet I am certainly looking forward to whatever it is that God will next put in my path. Since my enrollment in WLI I have become much more appreciative of who I am as a woman. I am also more aware of the transformative power of a group of women gathering together and faithfully committing to one another. Now more than ever I am committed to finding a loyal and devoted group of women at every stage of my life. After this program I am going to share myself and my story. It is healing for me and maybe it would be for others. I am less afraid to really live my life, and I like that, so I will be open to whatever comes in a positive light, as a whole person, an accomplished woman; a woman who recognizes her limits and obstacles and finds ways to go through them. I will continue my spiritual growth with a renewed enthusiasm and an expanded knowledge. WLI has certainly elevated the possibility of leadership in my own life and those of others and I look forward to whatever opportunities are in store. We laughed, we cried, we sang, we sighed. We found our joys, our sorrows, our experiences. We are similar yet so different. Now we leave knowing each other. strong women of Spirit, leadership, knowledge and wisdom". 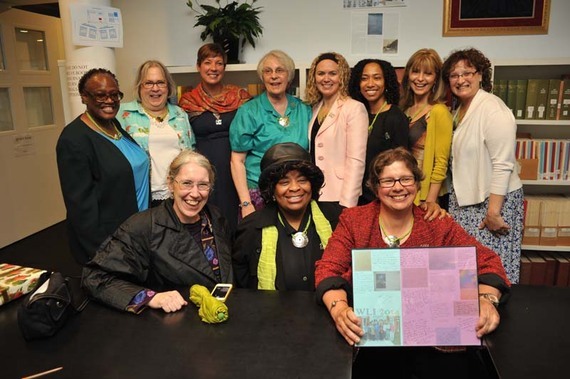 This year and every year for the past 18 years women have gathered at Hartford Seminary and have been transformed by their experiences at the Women's Leadership Institute (WLI). The article above is some thoughts from this year's group -- what brought them there, how they have changed and what is next in their lives.